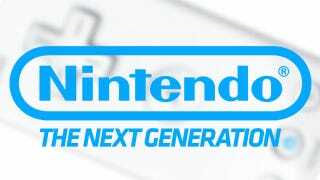 Nintendo's successor to the wildly successful Wii looks like it's going to be officially revealed at E3 2011—if not sooner—based on numerous reports that the company's next generation console is real, really powerful and already in the hands of video game developers. A flurry of details, none of them officially confirmed by Nintendo, have been leaking left and right after Game Informer first published its story on what its calling the "Nintendo HD." We're rounding up all the rumored details on Nintendo's next-gen console right here, from its crazy controller to its purported hardware specs to its 2012 launch window. Here's what we've heard—and what everybody else seems to have heard—about Nintendo's next system. Game Informer kicks the rumor mill into gear with its initial report, claiming the "Nintendo HD" will be unveiled at E3 in June. The system "is capable of running games at HD resolutions," Game Informer writes, and will see a "late 2012 launch." It reportedly won't bear the Wii name. Kotaku follows up, writing that "we've heard that [Nintendo's] machine will be more powerful than current-gen systems" like the PlayStation 3 and Xbox 360. IGN adds its own report, saying that Nintendo's Wii successor is "significantly more powerful" than Sony and Microsoft's current consoles. IGN news director Jim Reilly adds "that the console will be backwards compatible with current Wii software" and that an official "pre-announcement" is due sometime in April. CVG weighs in with its own unconfirmed reports, this time about the system's controller. They say the Wii 2's gamepad will "feature a built-in HD screen." CVG backs up earlier reports about the system's horsepower and Nintendo's launch plans. French site 01net chimes in, saying the Wii 2 is codenamed "Project Cafe" and that its controller will include a touch sensitive screen measuring 6 inches, features a front-facing camera and can double as a Wii Remote sensor bar. 01net touches on hardware specifications, claiming a multi-core IBM PowerPC CPU, an ATI R700 series GPU—the Xbox 360's GPU was R500 series based—and "at least" 512MB of RAM. IGN later adds that "Players will actually be able to stream game content to the controller screen from the console. It's unclear at this time what type of content it will be, whether it's full games you can take with you on the go, mini-games or applications." IGN later posts a mock-up of the system's controller. Today, Edge weighs in, saying it has its own details on Nintendo's Wii success. "Ubisoft, Activision and Electronic Arts have had development units of the new hardware for months," Edge says. The system features motion control, Edge adds, "with capabilities that are 'better than [PlayStation] Move.'" Nintendo, for its part, has offered no confirmation and no denial. It "does not comment on rumor or speculation." Know something about Nintendo's next-gen console that you're dying to share? Email me at mike@kotaku.com. Or leave us an anonymous voicemail at (612) 568-2581.